Beautiful holiday villa with a pool 20mns from the sea in unspoilt Sardinian countryside. A dog’s life : Sardinia through a Labrador’s eyes. Why we are better than a hotel or B&B for a week’ s stay or more. More beautiful and natural outdoors space at Villa Nuraghe. Malc and I had always planned to open up our land and woodlands at the back and side of the villa. If not immediately for the clients ‘ pleasure, at least to allow us to walk around and harvest useful fire wood. Those plans for the land and small forest had to be put on the back burner for a couple of years as different priorities were establised (repair and increase the height of the stone walls at the front of the villa, put in the swimming pool etc). Malcolm always wanted to make the most of the land and existing forest to plant and harvest more fire wood. Free renewable energy , you see 🙂 With that in mind, he bought and seeded 500 eucalyptus in May last year (the“ Sydney Blue Gum” variety for the tree geeks amongst us 😉 ) . My , my … Did they grow !! By September, they were nearly my height (a diminutive but strong 1.60m, lol). Come the end of October and November, we worked like dogs !!! I actually forgot to take different pictures of the land at the back of the stazzu before we set off to clear it, but the back left corner was full of trees , shrubs and massive granite stones; all of it covered in thick brambles and vine like weeds. What I presumed would take 2 weeks took 4 weeks plus of full on work. Malc was on the strimmer and chainsaw. I was dragging piles of cuttings and burning as well as taking down and piling the wood with Malc . Notice the difference in moss covered rocks and the ones kept covered for decades. I am really glad we did all this clearing and planting. The real pleasure was in uncovering trees and truly stunning stones that hadn’t seen the light of day for nearly 3 decades…. And our clients can now benefit from more unspoilt space to discover in our small woodland … and enjoy a different panorama too. You can book your flights now ! Ryanair has posted their flights to Alghero just over a week ago. Flights are starting from 14,99 pounds …. Get booking soon and grab yourself a bargain ! On the joy of downtime and internet use. Indeed, amongst the many activities to be enjoyed, hiking,rock climbing and diving are some of best in Southern Europe. So if you are into any of these, please refer to the sport tab in the main menu. And plan those holidays already ! 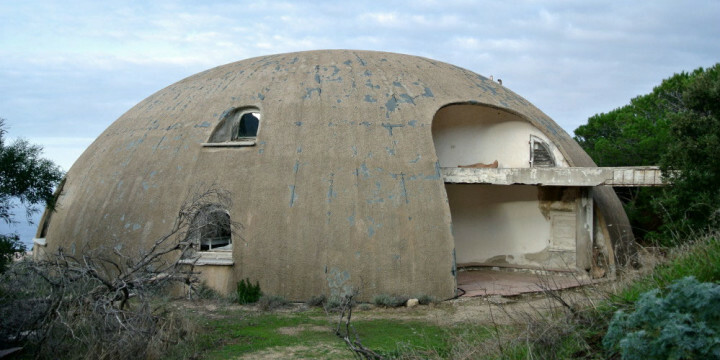 And now I have just wasted over 1H00 looking at all these abandoned houses, villages …. Don’t give me wrong, I loved it but I was meant to update the website by adding 2 sport sections … But what a delicious way to whale away time …. 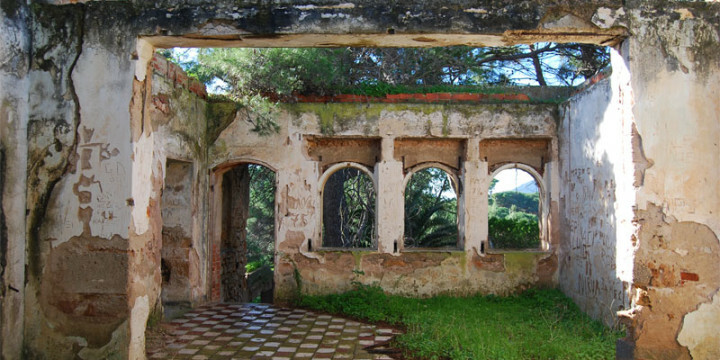 And there are quite a few deserted places in Northern Sardinia so I feel a couple of trips coming on ! The following blog comes courtesy of Jennifer Avventura, an ever prolific writer and great lover of this beautiful island. And she is right on every point below ! Top 10 reasons to make Sardinia a year-round travel destination. The devastation that hit mainly Olbia and some of the Nuoro region seemed nearly unreal when we heard of them. I remember my mum ringing me on my mobile asking me how I was as she heard of a cyclone hitting Sardinia via the French news the day after. I had no idea whatsoever. I noticed the storm, lightning and copious amount of rain the night before but to be honest, it was nothing we hadn’t witnessed before in Perfugas. It is only days later , when we got back online that I realized the extend of the disaster : 18 dead , quite a few roads and bridges collapsed, many houses, business and livelihood ruined. 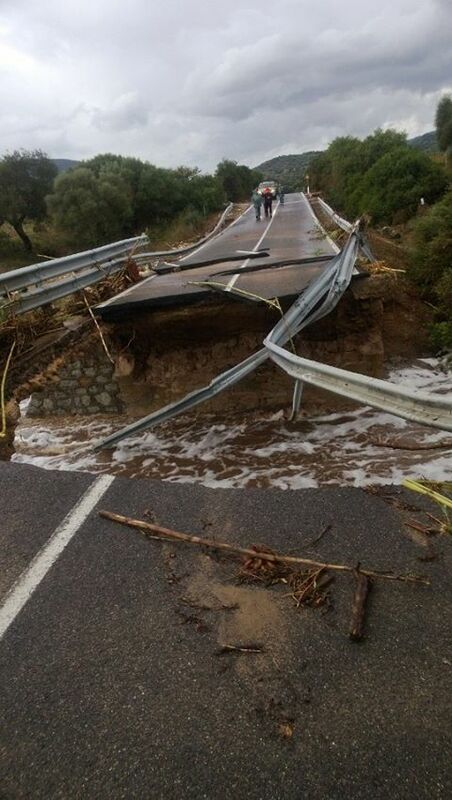 Six months of rain slashed Sardinia in less than twenty-four hours, causing landslides, mudslides and severe flooding. More than 4 weeks later, the effects of that disaster are still being felt : a man just committed suicide in his ruined shop in Orosei, many people having lost their home still live in temporary shelter, schools lessons are held in makeshift building .. I know the Sardinians as very resilient people and their great spirit shone through immediately : volunteers came rushing to help from all over the island and beyond, donations of various kinds are being generously sent. It may take years to get back to “normal”. Me and Malcolm count ourselves lucky to have unaffected by it . Top 10 Sights in Northern Sardinia. This above link is another courtesy of Jennifer Avventura’s blog. Jennifer’s explanations are great … I would add that I would also recommend a day trip from Santa Teresa to go and tour the Maddalena islands. Boats to do so come in all shapes, sizes and price brackets. But get to Santa Teresa’s port before 9am to choose your boat .